Low Country Farmhouse is a 2 story 4 bedroom rustic low country farmhouse plan with a wrap around porch. 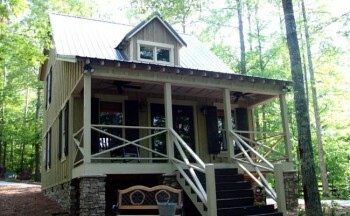 The front exterior is constructed of craftsman style details and a wrap around porch that will draw you in from the roadside. The breakfast, kitchen, dining and family room are separated by columns and architectural details that create a warming feel from inside the home. A two car garage is conveniently located next to the pantry and kitchen to make unloading groceries a breeze. 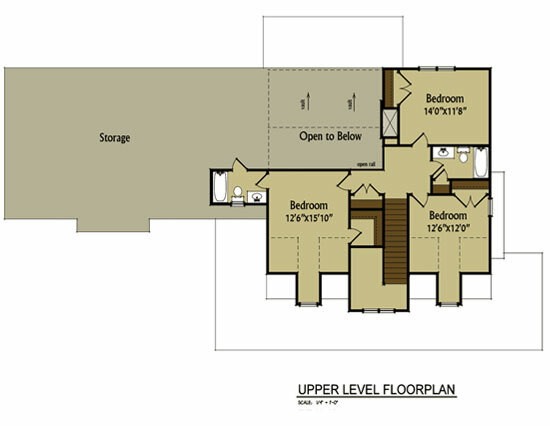 The upper level has three bedrooms, one which has its own walk-in closet and bathroom.